Dedicated to providing opportunities to students who otherwise may not have a chance to earn a baccalaureate degree, the Smith-Hutson Scholarship Program is targeted toward individuals with demonstrated financial need and academic potential. 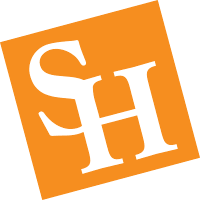 The Smith-Hutson Scholarship Program provides educational opportunities for Texas high school graduates pursuing a baccalaureate degree from Sam Houston State University. Additionally, the Smith-Hutson Scholarship program is available to transfer students from a Texas community college who are pursuing a baccalaureate degree at Sam Houston State University. The number of Smith-Hutson scholarships varies year-to-year depending on the number of qualified applicants. Currently the program is in its 22nd year of operation having been established in 1996 by an anonymous donor. To date, over 250 students have graduated as Smith-Hutson Scholars. The total number of Scholars who are supported by the Program varies each year depending on new scholarships awarded and those students who graduate or drop out of the program. Currently, over 160 students are supported by the Smith-Hutson Scholarship Program. Entering students awarded Smith-Hutson Scholarships for the upcoming 2019-2020 academic year may receive financial support up to a maximum of $18,000 per academic year. Other scholarships and awards received by a student reduce the Smith-Hutson award and the amount to be awarded is calculated each semester based on these other awards. The scholarship is renewed for a total of four years of undergraduate study (2 years for transfer students) as long as the student maintains the scholarship requirements. Smith-Hutson Scholars also benefit from tutorial support and academic advising from the program director and coordinator.